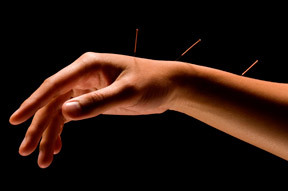 Acupuncture is the primary treatment method we utilize in our clinic today. The reason for that is due to its predictable efficacy and ability to provide immediate results. Sterile and disposable acupuncture needles are used to stimulate the body’s nervous system and promote blood circulation to the patient’s problem areas. The results of this approach are nothing less than extraordinary. By promoting blood circulation, we are directing the body’s own physiological healing mechanisms. It is through the stimulation of these physiological processes one can achieve long term resolution of health concerns. Can Acupuncture Treat __(fill in the blank)__? 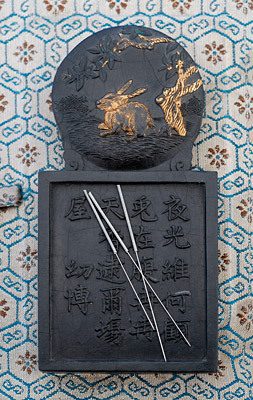 Acupuncture is not painless, but it certainly is not painful. The discomfort experienced during treatment is nowhere near the discomfort that is typically caused by people’s health concerns. Additionally, acupuncture needles would be better described as “pins”, meaning they are thin solid pieces of surgical steel about the width of a human head hair. The needles do not inject medication or withdraw body fluids and are not inserted into the blood vessel. As a result, the sensation elicited by the acupuncture treatment is tolerable for the majority of patients. Acupuncture is extremely safe as we are certified in Clean Needle Technique and use sterile disposable needles. The majority of points utilized are located below the elbow and knee joints. There are no major organs at these locations and consequently risks and side effects are minimal. Potential complications of treatment include bruising, minor swelling, bleeding, discoloration, or hematoma at the site of insertion. At Bellingham Acupuncture and Wellness, all of our treatment plans are customized for the patient’s condition and goals. Consequently it can be challenging to estimate the length of a care plan without first assessing the patient. Many variables are considered when determining one’s prognosis. These variables include: age, diet, lifestyle, employment, length of time the problem has been developing, what type of interventions have already occurred, medication usage, compliance, etc.